The Bay Area has long been a destination for seafood lovers everywhere. There is arguably nothing more “San Francisco” than a bread bowl of clam chowder, a plate full of Dungeness crab, or a platter of fresh Hog Island oysters. 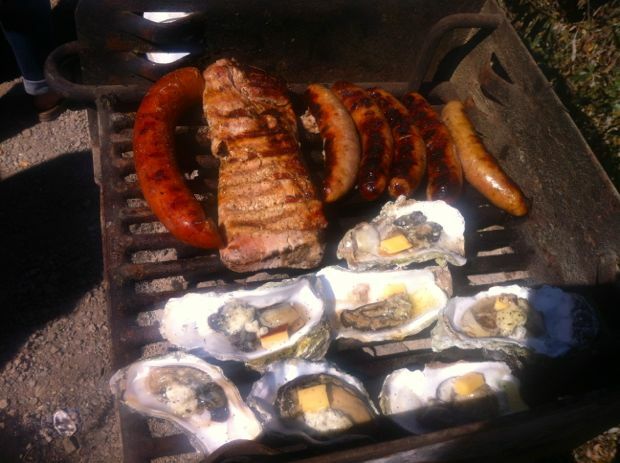 One of the area’s best seafood destinations is Tomales Bay, also known as Hog Island. 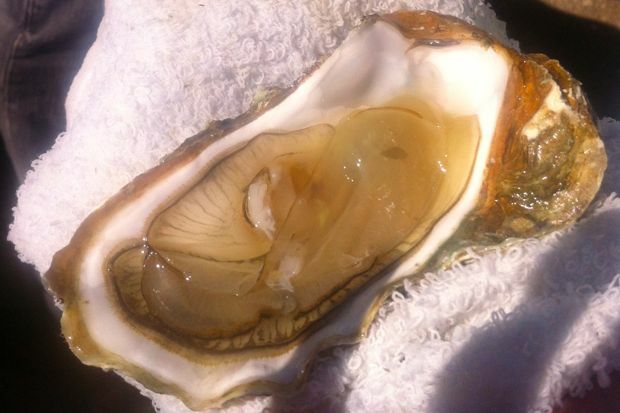 Just 45 miles north of San Francisco, the area is known for its succulent fresh oysters. Established over one hundred years ago, in 1909, Tomales Bay Oyster Company is one of the area’s original oyster farms. Sitting on the edge of the bay, their farm offers a full picnic area with beautiful views of the water from nearly every table. The picnic area at Tomales Bay Oyster Company works on a first come, first served basis, but if your group is over 10 people, you will have to call to reserve a table at the group rate. 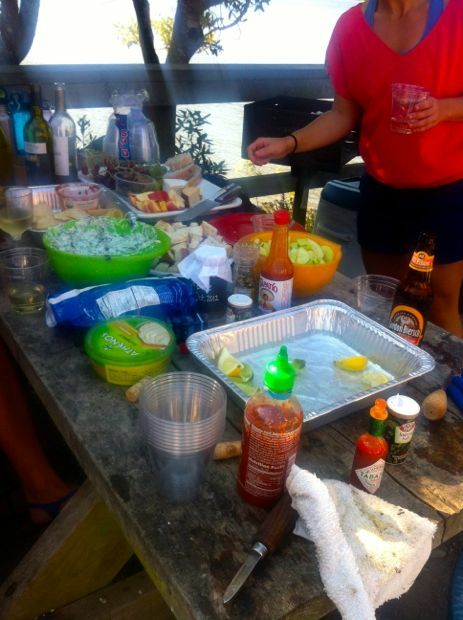 The group rate is $75 per table and includes access to a barbeque, one oyster shucking knife, shucking gloves, lemon, lime, ice, hot sauce, and one bag of a dozen farm fresh oysters. Of course in addition to the supplies provided, groups are encouraged to bring their own spread of condiments and side dishes to complement the oysters and make it a full meal. 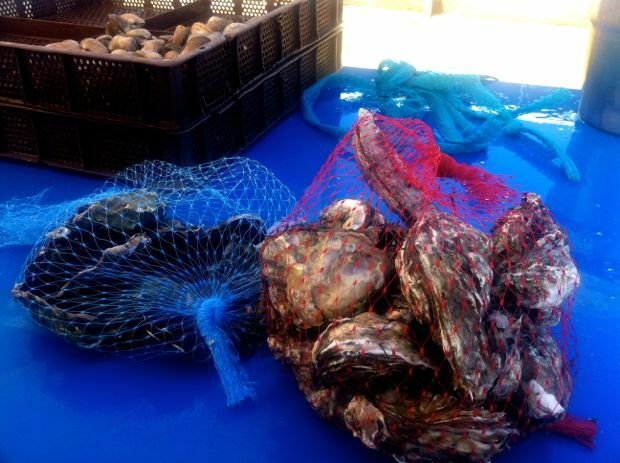 By the picnic area, on the waterfront, is a small area where you can purchase additional fresh oysters by the bag full. Bags of a dozen or fifty oysters from either Tomales Bay or the Pacific Northwest can be purchased in varying sizes, ranging from extra small to large. 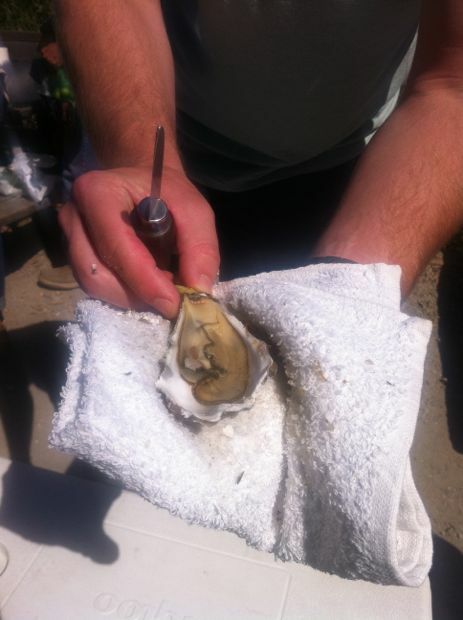 Once you have your table set up and your oysters in hand, it’s time to get shucking! Shucking oysters is no easy feat, but the reward is sweet and once you get the hang of it, the process moves more quickly. Additional shucking knives and gloves can be purchased by the waterfront, so that everyone can give it a try. The oysters can then be eaten fresh with a condiment of your choosing (they are amazingly sweet, refreshing, and delicious as-is) or you can throw them on the barbeque to heat them up. We opted to eat most fresh, but we did barbeque a few in the Oysters Rockafeller style. With the views, the convenient setup, and some of the world’s best fresh oysters picked straight from the farm, a picnic up at the Tomales Bay Oyster Company is a fun, unique experience for any seafood lover. This entry was posted in Do, San Francisco, Taste and tagged hog island, oyster shucking, oysters, oysters rockafeller, seafood, tomales bay, tomales bay oyster company. Clarissa (San Francisco Bay Area) is a Strategic Alliances Manager at Box and an enthusiast of all things tech, travel, design, music, and food-related. A San Francisco native, she has been lucky enough to live in Italy, Sweden, Canada, and more. When not at work, you'll find her seeking adventure in new places or exploring the amazing food scene that San Francisco has to offer. / Find her on Twitter at @cmeily. It seems that everyone but me as shucked oysters in SF. I guess another thing to add to my to-do list. :) :) Looks fun and yummy!